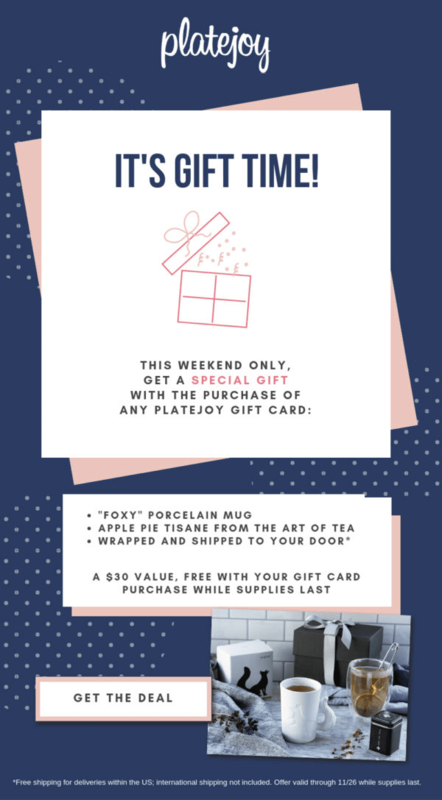 Platejoy Black Friday Coupon: FREE Gift Set with Gift Card Purchases! Through 11/27 give a gift of Platejoy, a menu/recipe/shopping list digital subscription and receive a free gift set ($30 value)! Gift set includes a porcelain fox tail mug and Apple Pie Tisane from The Art of Tea. Offer valid from Friday, November 23rd – Tuesday, November 27th at 11:59 pm EST. Visit PlateJoy to subscribe or find out more! 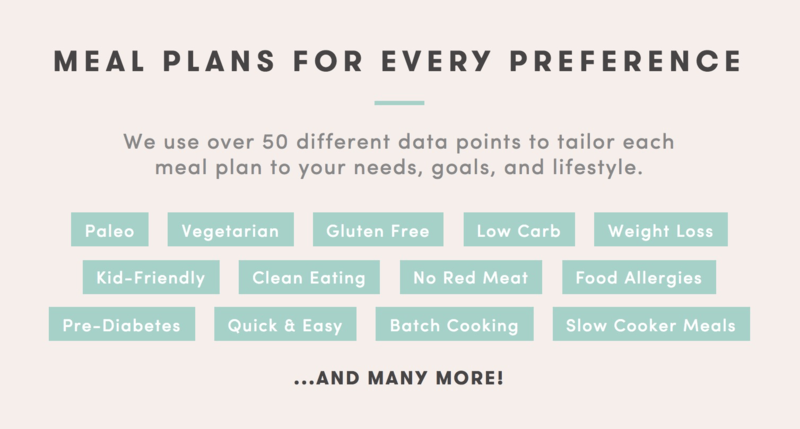 Your PlateJoy includes our unique personalization quiz, a menu of personalized meals tailored to your preferences, customized recipes, shopping lists, and full usage of our digital pantry feature. Get $10 off any plan. Use coupon code HELLOSBSN.